HOUSTON (KTRK) -- A Houston Fire Department captain died Saturday evening at Memorial Hermann Hospital after collapsing during a house fire call on Thursday night, according to fire officials. Captain Dwight Bazile died just before 7pm. Doctors believe Bazile suffered cardiac arrest. Captain Bazile fell ill while responding to a house fire in the 6400 block of England Street in southeast Houston. Initial reports were that two people were trapped inside, but no one was in the home. Bazile went into the house and later emerged. Ruy Lozano, an HFD spokesman, says Bazile was able to walk across the yard and collapsed in front of the EMS truck. He was able to sit on a stretcher, according to another firefighter, who said, "We don't know what happened after that." He was brought to Memorial Hermann Heart and Vascular Institute-Texas Medical Center. 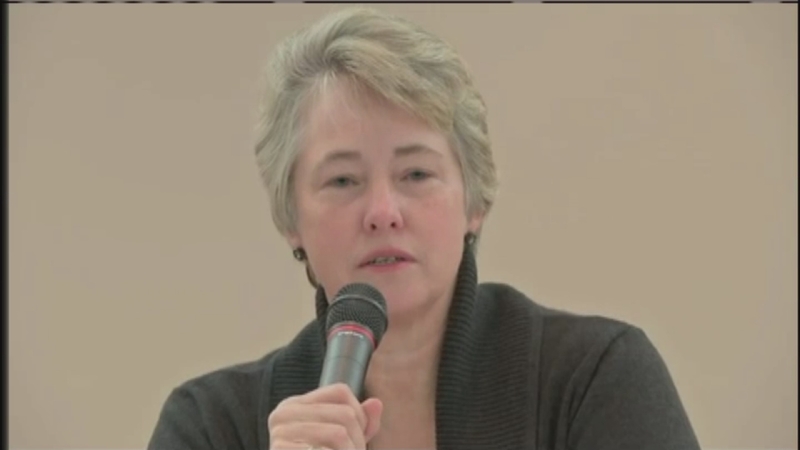 Mayor Annise Parker says that while an autopsy will be conducted, it was believed the captain sustained a "cardiac event." A Medical Examiner's van pulled up to carry Capt. Bazile's body from the hospital. Houston firefighters followed in procession and passed by Station 46 to allow those firefighters to honor him. Bazile joined the Houston Fire Department in October 1977 and was promoted to captain in 2008. He leaves behind his wife, a college age son and daughter from a previous marriage. I am saddened that the City of Houston has lost another one of its own. This has happened too many times before. It hurts deeply and it never gets easy. My thoughts and prayers are with the family of Fire Captain Dwight Bazile and the entire Houston Fire Department as they grieve this loss. I want to thank the doctors and other medical personnel at Memorial Hermann who fought hard over the last two days to give Captain Bazile the best medical care possible. Gaylon Davenport, President of the Houston Professional Black Firefighters Association, said he has known Bazile for decades. "One of his favorite phrases was, 'I'm large and in charge,' but he didn't mean it in one of those arrogant ways," Davenport said, "He was just a big guy. One hell of a leader and he lead by example." Captain Lozano said, "He was a big guy, he was a very large man, but as big as he was, he was very inviting. He was the type of guy, he had a genuine smile, uniform always pressed. He was constantly, if he wasn't mentoring, he would be in a room studying." Funeral arrangements for Bazile have not been announced yet. According to the U.S. Fire Administration, nearly 50 percent of firefighters who die in the line of duty die from heart attacks.